Namine’s baseball game was last night, instead of Thursday, because of the upcoming holiday. 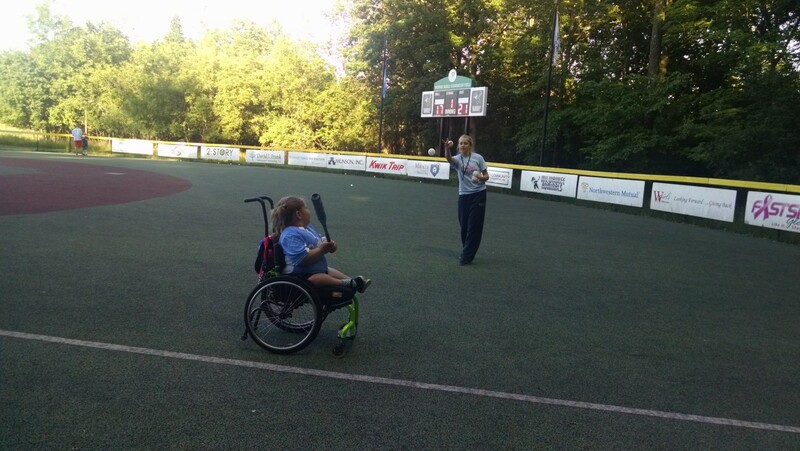 Before the game started, Namine went into the outfield with her Buddy (that’s what the YMCA calls the adult volunteers who work with the Miracle League kids) to practice batting. I walked over behind the fence to watch. The attitude here at the Miracle League games is much more laid-back than at Namine’s basketball practice. In basketball, there is a near-constant push to WIN WIN WIN. 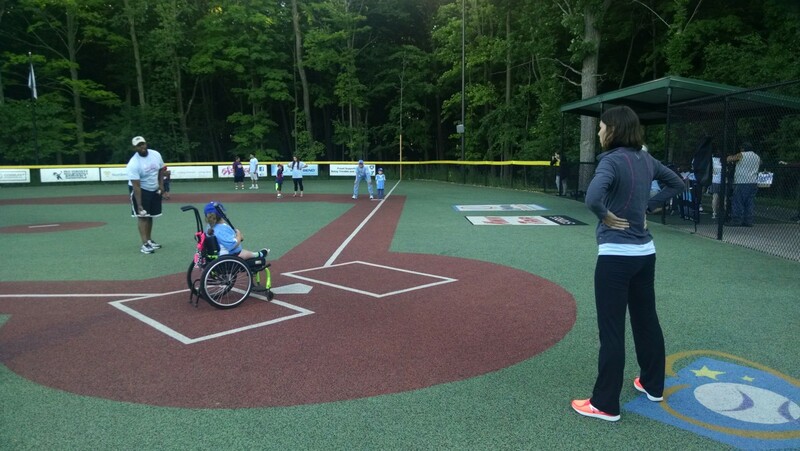 But in Miracle League baseball, the focus is on having fun and building the basic skills. There’s a place for both, I think, and it seems to me that Namine enjoys the more relaxed atmosphere at baseball.